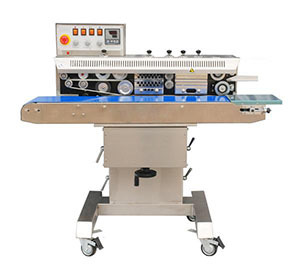 Sealer Sales bag heat sealing equipiment. 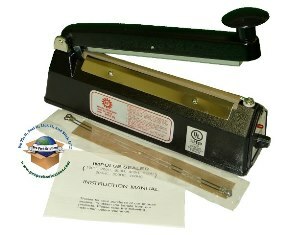 Heat sealing equipment for Poly, Mylar, plastic lined bags to clam shells. 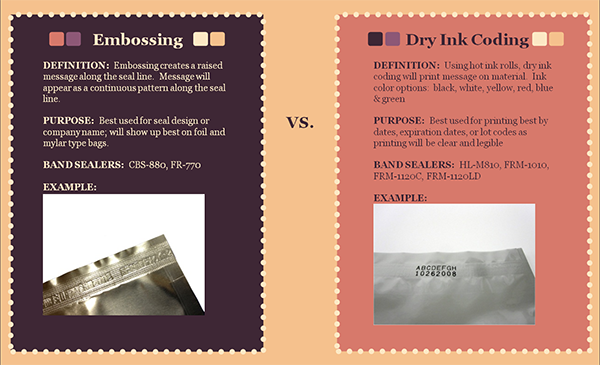 The most common sealers for poly bags are the arm type. Simply place the bag under the arm and press down. The operator holds the arm down to activate the heating cycle for the amount set by the dial, then holds down for an additional few seconds for the seal to congeal. The advantage of the table top units are once you have all the setting made (heat cycle, congeal cycle, timed cycle), potential operator errors are minimized. A foot switch allows the operator to work with both hands to increase productivity. 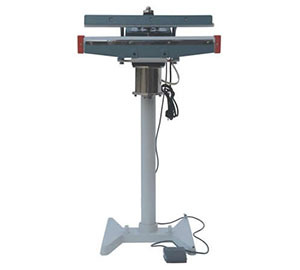 Foot Sealers are a variation of the table top units. Need extra wide foot sealers? Click here. 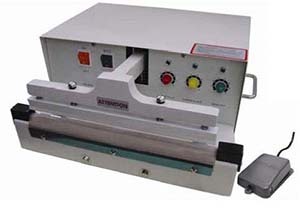 Band sealers fully automate the sealing process. 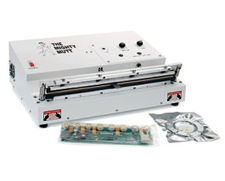 The operator inserts the bag on one end the the bag travels across the unit and comes out the other end sealed and coded with either the embossing or dry ink method if equipped. We do not have all of the band sealers in our shopping cart. If you don't see what you are looking for, call. Vacuum sealing offers a way to create a moisture barrier, or longer lasting life cycle for your products.